Child maintenance if parent works in Europe is an issue currently faced by separated parents according to Cheshire family solicitor Stonehewer Moss and the assumption that CMAC, the state collection agency will deal with it may be incorrect. If the child or one of the parents is not habitually resident in the UK, the agency has no jurisdiction and EU maintenance regulations may apply if the other parent works in the EU. First, you must check if there is an order related to your child that could be interpreted as excluding English jurisdiction under EU law. This particularly will have relevance to divorce orders, overseas child arrangements orders and possibly nuptial agreements. 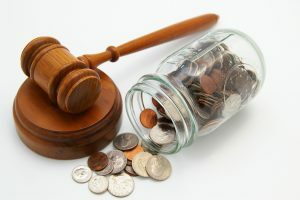 Assuming the jurisdiction of the court is not excluded, the absence of cmac jurisdiction leaves the parent with day to day care free to seek an order for financial orders including income payments under Schedule 1 of the Children Act 1989. Child maintenance if parent works in Europe is not hopeless if the child support agency refuses to help you. Negotiation, including mediation, to seek a settlement should be attempted before applying to the Court. The court has a discretion as to how much should be ordered and will consider a list of matters outlined in the statute. It may not be surprising if the court comes up with a figure similar to the cmac formula but if the other parent is a high earner issues such as school fees and awards beyond the rigid caps and formulas of the state system may come into play. The court can entertain applications related to capital and property for children though property on trust is likely to revert to the parent once the child has grown up. Students can seek support through University once child benefit and child support ceases. This jurisdiction is under used and if correctly handled, in the experience of the writer, should result in a positive outcome. A parent with the means to pay will struggle to justify refusing to support a child. Sometimes, however, this technical area can trip up an unwary applicant and a parent receiving such an application may wish to check if he or she has grounds to apply to strike out the application. Child maintenance if parent works in Europe is currently subject to EU law of which we participate; it is not clear how the system will work as we leave the EU. This article was added on Thursday, June 15th, 2017 at 2:29 pm and is categorised under Cheshire News, Child arrangements, Family finances, Family Law, Macclesfield News, northwich solicitors, Runcorn News, Warrington News, Winsford News. Both comments and pings are currently closed. Error: Error validating access token: Session has expired on Saturday, 09-Mar-19 13:12:58 PST. The current time is Thursday, 25-Apr-19 21:46:51 PDT.